Today I’m sharing a card I made using the new release. At the bottom of this post there’s also some details about a big Spring Cleaning sale happening at the Ellen Hutson shop! Have you shopped the new Essentials by Ellen April release?! 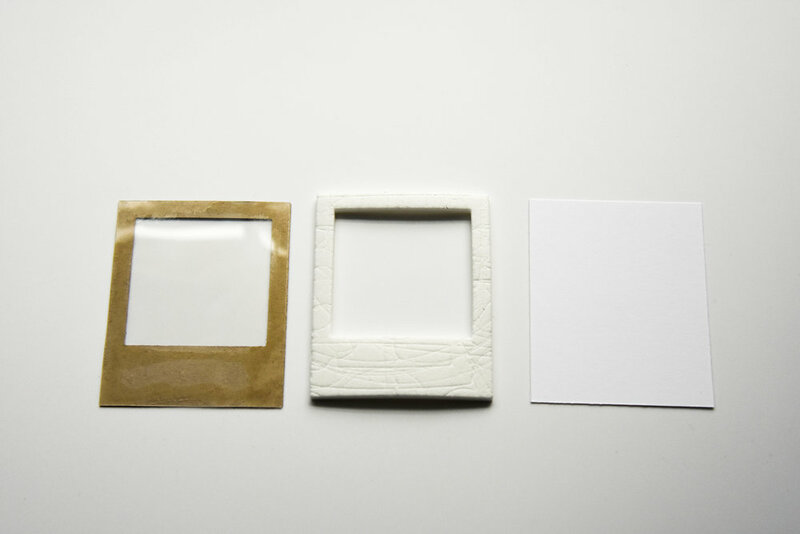 The Instant Photo Frames make a really great shakers for your cards! I combined them with the Handful stamp set for this project. The first thing I did is create the shaker with one of the instax photo frame dies. I cut one piece from Kraft cardstock and the other from some double sided foam sheets. I find this is the easiest way to create a shaker. Next I cut two rectangles that were the same size as the outside of the instax die. One from clear plastic and one from white cardstock. I adhered the clear plastic to the back of the Kraft cardstock using some liquid adhesive. Then I adhered the foam sheet to the white cardstock. I filled the foam sheet side with gold star sequins and some brown sequins. Then I sealed it with the Kraft cardstock I cut out earlier. I like to make my shakers first and then adhere them to the front of the card. I stamped the hand holding a cup of coffee on some 110lb Neenah Solar White cardstock and then I used my watercolors to carefully paint the hand and coffee. If you don’t have brown watercolor, you can mix red, blue and orange watercolors to achieve a coffee-like color. I adhered the hand to the clear plastic of the shaker I created. I used that same brown watercolor to paint a coffee cup stain on my card base. Then I added the shaker over it. I die cut the banner that comes with the Instant Photo Frames dies and stamped a sentiment from the Everyday Punnies stamp set. I’m using the watercolor kit I made in THIS blog post on this project. You can find the video tutorial for it HERE on the Ellen Hutson YouTube Channel. There’s a Spring Cleaning Sale happening in the Ellen Hutson shop! 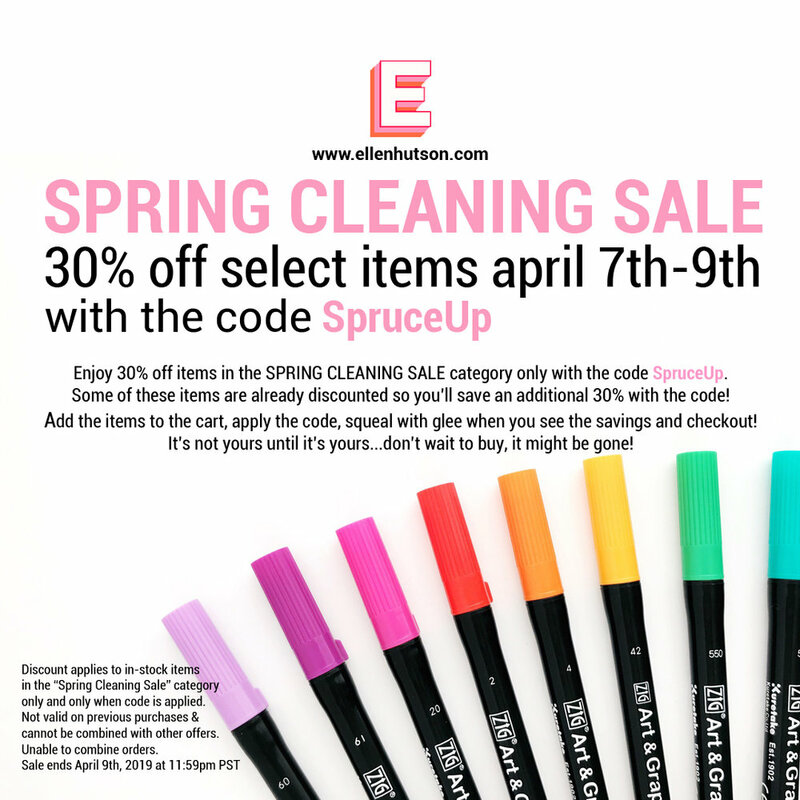 30% off select items April 7th - 8th with the code SpruceUp! I’ve created an Ellen Hutson sale page on my blog for current sales, new items in the shop and new releases. Check in occasionally to see what sales are happening! I’ll be updating it regularly with links to the sale sections. Thanks for stopping by today! Happy crafting, everyone!